The ship we are using does not have an elevator. This journey includes many walking excursions with stairs and uneven surfaces. Members must be physically fit and able walkers to fully enjoy this itinerary. The Dalmatian coast is truly one of the world’s dream destinations. It is known for its long sunny days, amazing natural beauty such as the magnificent Bay of Kotor and the Mljet National Park, quaint fishing villages and warm friendly people. 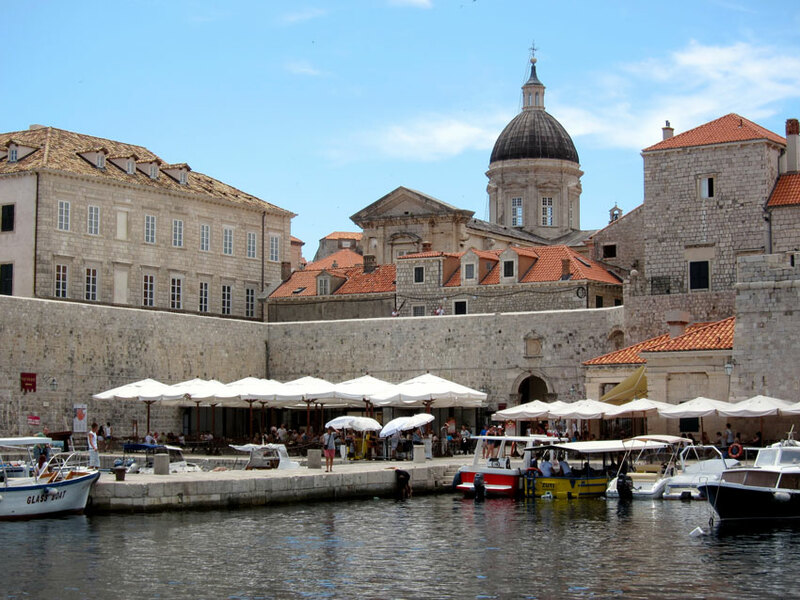 It enjoys a long and varied history with many UNESCO World Heritage Sites including Diocletian's Palace and the walled city of Dubrovnik. 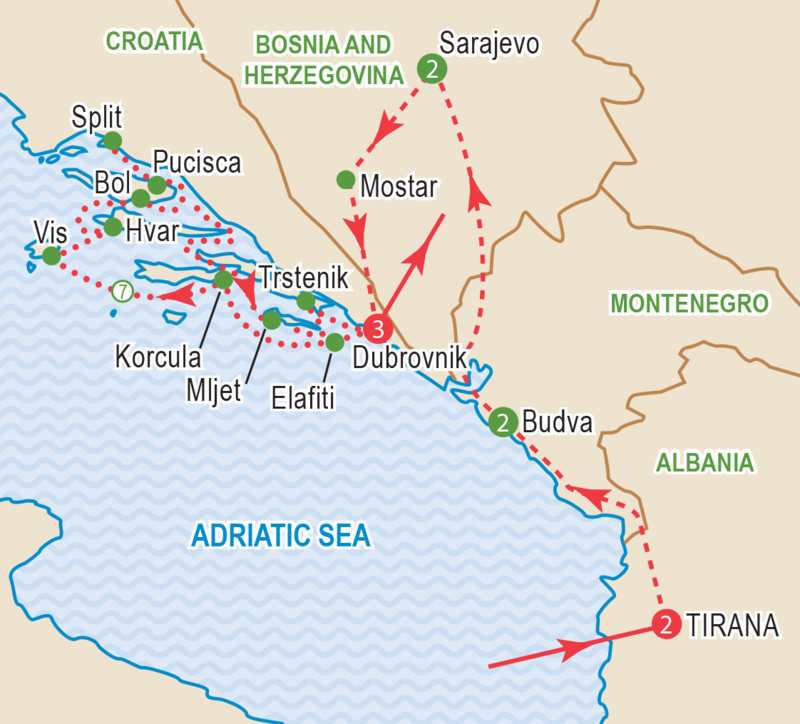 And don’t forget the Adriatic Sea; crystal clear waters lapping rugged coast lines with wonderful beaches. 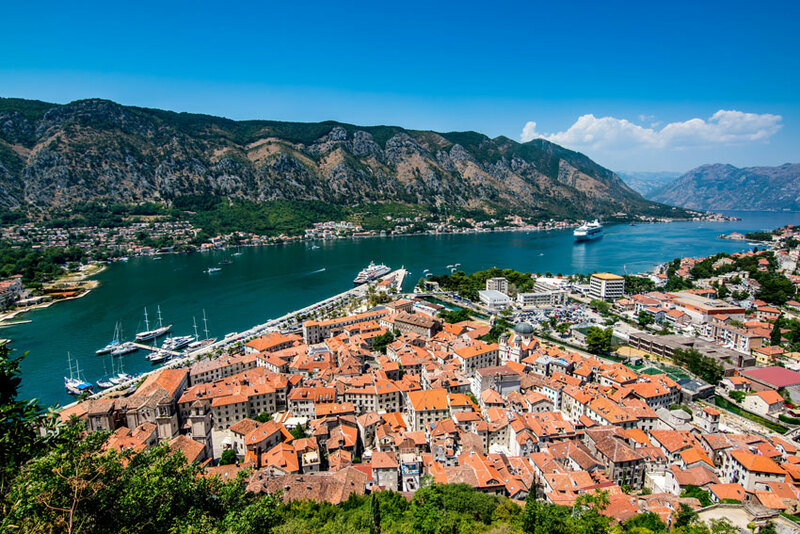 This journey begins with a nine day exploration by land through the countryside and towns of mysterious Albania, Montenegro, Bosnia and Herzegovina and Croatia. The journey is highlighted with the full charter of a delightful small yacht for a week long cruise in the Adriatic, exploring the most fascinating islands and ports of call. This promises to be a truly exceptional adventure. Read on but don’t delay as space is very limited and previous departures filled months in advance. Group members from across Canada gather in Toronto for the overnight flights to Tirana, Albania. Our morning connection brings us to Tirana, the capital and principal city in Albania. On arrival we transfer directly to our hotel where we have dinner and a relaxing night. We begin with a panoramic city tour viewing Skanderbeg Square, the Mosque of Et’Hem Bey, the Clock Tower, the statue of Albania’s national hero Skanderbeg, the Soviet-era Palace of Culture and the National History Museum which sports a mosaic façade depicting the history of Albania. The afternoon has been left free to explore the city on our own, to shop or just relax. This evening enjoy a welcome dinner at a local restaurant. Enjoy a day of scenic beauty as we explore the hinterland of the Lovćen National Park. In Cetinje, visit King Nikola’s Palace, the former residence of Montenegrin royalty. Following a traditional lunch in the village of Njeguši, enjoy a stroll in the centre of the Old Town of Kotor, with one of the best-preserved medieval towns, surrounded by 5 km of original walls and home to St. Tryphon’s Cathedral, built in 1166AD. 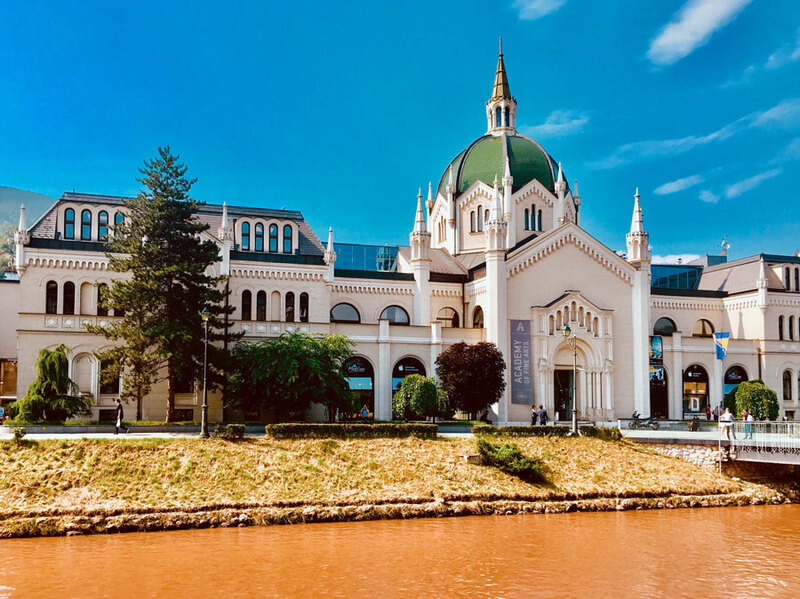 Like much of this region, Sarajevo has seen many cultures and civilizations cross through its gates and is known for its cultural and religious diversity. It was here that the first shots were fired in WWI, following the assassination of Austria’s Archduke Franz Ferdinand. We’ll visit the picturesque Turkish Bazaar “Bascarsija”, Husrev Bey’s Mosque and the Sarajevo Tunnel Museum followed by a free afternoon in this historic city. 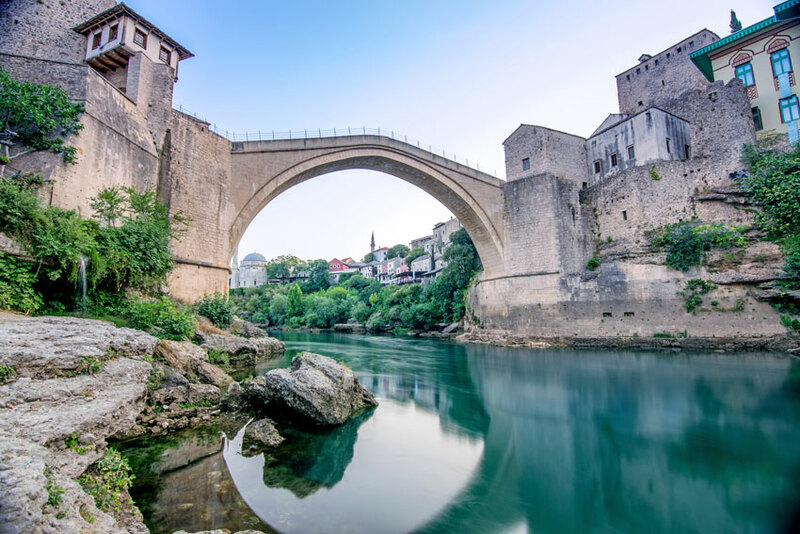 Departing Sarajevo we follow the Neretva River Gorge, stopping in Mostar to visit the historic Turkish Quarter and walk over the famous 16th century Ottoman bridge for which the town is named. Visit the Koski Mehmed Mosque before we continue to the coast and the legendary walled city state of Dubrovnik, a UNESCO World heritage Site. Our hotel overlooks the city and the Adriatic. This morning we will walk from our hotel down into the old city. Our morning exploration will include views of the Rector’s Palace, the Bell Tower Clock, the Franciscan Monastery, Orlando’s Column and Sponza Palace. Visit the exquisite Dominican Monastery, one of the most important buildings in the city. Following lunch in a restaurant in the old city, enjoy a free afternoon and evening to explore the city on your own, to climb the city walls and to enjoy dinner in one of the many great local restaurants. Enjoy a morning of cruising among the Elafiti Islands with a swim stop en-route. Enjoy lunch on board as we cruise to Korčula. 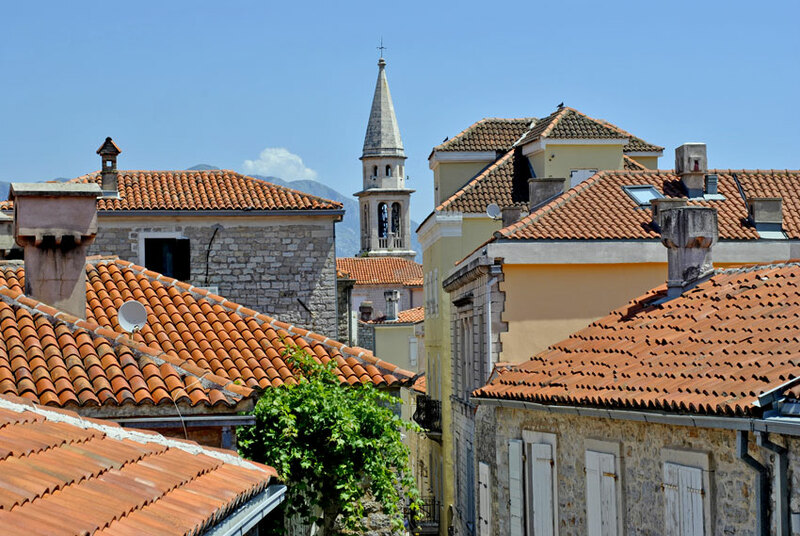 Our walking tour of Korčula includes views of Marco Polo's House, the Bishop’s Palace, and St. Mark's Cathedral which houses many fine works of Tintoretto. This evening there will be an opportunity to enjoy an optional wine and dine experience on shore (approx. 70 Euro). This morning we will explore the island of Korčula and the pretty village of Vela Luka where we will rejoin our yacht. En route, we stop in Blato and visit the Ethno Museum of the family Barilo, a very traditional stone house. 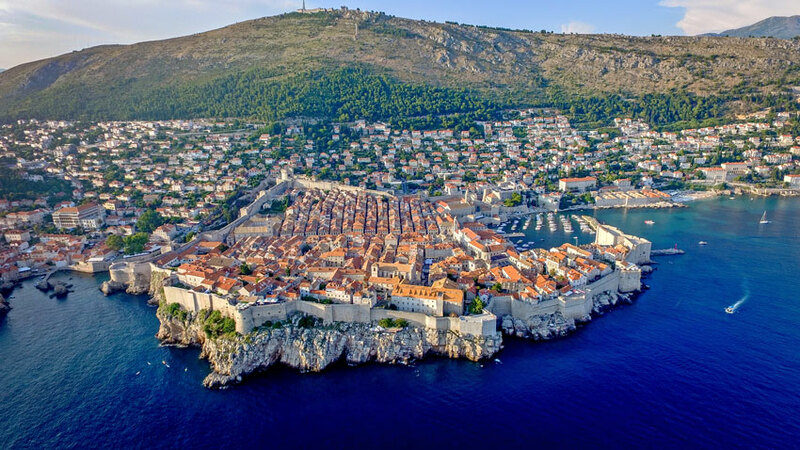 Over lunch, we sail to the magical remote island of Vis, world-renowned for the spectacular remains of the ancient Issa, the very first urban centre in Croatia. This morning, we will sail to the island of Biševo and visit the Blue Cave or Grotto, weather permitting. Later, enjoy a delicious lunch on board and a refreshing swim at the Pakleni Islands en-route to the beautiful island of Hvar. Spend the late afternoon exploring the town of Hvar, set in a sheltered bay. This perfectly preserved medieval town features Venetian architecture and fine fortifications. Our walking tour will end at the Benedictine or Franciscan Monastery with a wine reception and Klapa, traditional Croatian singing. This evening why not indulge yourselves with a dinner ashore along the waterfront. In the morning, we stop in Bol, best known for Zlatni Rat, also called Golden Horn, or Golden Cape, a wonderful beach known for its ever-changing shape, which regularly tops the list of the most beautiful beaches in Europe. Then we cruise over lunch with a stop for a swim. Spend the afternoon and evening in the ancient city of Split, centred around famous Diocletian’s Palace built in A.D. 295-305. An extensive structure, much of which is well preserved, the palace contains within its walls Split's medieval town, making it the only palace that has been continuously inhabited since Roman times. Our walking tour includes a visit to its underground cellars, the Mausoleum and Jupiter's Temple. The remainder of the afternoon and evening is at leisure. Cruise across the Brac Channel to Pučišća with a short, yet refreshing, swim stop along the way. Nestled inside a deep fjord, Pučišća boasts authentic Mediterranean architecture. Enjoy a morning of cruising with lunch on board before we arrive to Mljet. Our afternoon is free to explore the stunning Mljet National Park (entrance fee not included). Consider walking around the Great & Small lakes and visit the Island of St. Mary with its Benedictine Monastery that dates back to the 12th century. Overnight is in the port of Pomena. Early this morning we sail to Trstenik, where we sail farewell to our wonderful crew. Disembarking we begin a full day tour through Dubrovnik’s Primorje region to the Pelješac Peninsula. Visit the Gastro Vista centre where we will learn about the production of honey and enjoy a few samples. Visit the oyster farms in the channel by Ston, including a tasting, and enjoy a wine tasting with traditional lunch in a local restaurant in a village on the Pelješac Peninsula. This morning we continue our journey back to Canada. To be launched in the summer of 2019 and designed to sail the waterways of the Adriatic, this private yacht is the perfect size for this voyage, allowing us to visit a host a fascinating villages and ports which are simply not accessible to larger ships. Our group will be limited to a maximum of 36 persons in 18 comfortable cabins under the care of an experienced crew. All cabins have double or twin beds and are ocean view with private facilities (basin, toilet and shower). Cabin features include a safe deposit box, radio, Wi-Fi, hair dryer and luggage space under the bed. Cabins range from 118 to 140 sq. ft. and are fully air conditioned. Lower Deck Cabins - 8 cabins, each with 2 portholes (sealed) and entry from an interior door. They are generally more stable and quiet. Main Deck Cabins - 10 cabins, each with a window. Cabins on the Main Deck are more accessible with fewer stairs. The Upper Deck contains the public areas including a comfortable bar lounge with a big screen TV and the dining area, large enough for all to eat at the same time. Wi-Fi is available and free. On the outside terrace of the Upper Deck, there is a fully covered sitting area with tables and chairs, great for relaxing, enjoying breakfast and watching the world pass by. A large platform is located at the stern with two ladders for easy access for swimming. The Sunny (Top) Deck has enough sun-beds to accommodate all guests, a shaded open area deck plus a roof top Jacuzzi. All categories are subject to availability at time of booking. Book early for best choice. If you wish a cabin with twin beds, please request early. Above rates are per person based on sharing the category selected and include all of the applicable Inclusive Features. See deck plan for full details on the various categories available. Airfares from other gateways are available on request. Prices are based on rates, taxes and fees effective August 2018 and are subject to change due to factors beyond our control. The overnight in Vienna is only included for passengers booking group airfare. Book and deposit by March 29, 2019 and save $200 per person! Prices DO NOT INCLUDE the cost of insurance which is available and is highly recommended. Premiums vary with the cost, length of the trip, and the traveller’s age. For passengers up to and including 74 years on departure date, premiums will range from $312 to $484 pp plus applicable taxes. Cost supplements for travellers aged 75-85 will range from $201 to $424 pp plus applicable taxes. This insurance is effective from the date of purchase and carries limitations on pre-existing medical conditions. Clients 86 years and older and/or clients residing outside Ontario - please contact our staff for procedures. Please discuss your insurance coverage prior to booking. Refer to our Terms and Conditions for more information.